The Sun Also Rises chronicles the disillusionment of American expatriates in post-World War I Europe. Jake Barnes, Lady Brett Ashley, and their friends travel to Pamplona, Spain to observe the bull-fighting. Hapless Jake continuously pines after the beautiful, charming Brett, though she hops from one man to another. I liked this book. Hemingway's style of writing is very different from what I have read before, with his short, declarative sentences. His point comes across very promptly, yet poignantly. The story itself is very short, yet full of meaning, which I really enjoyed. I would recommend this book to others due to its exciting, ever-changing storyline. This novel is a good read for those that like the classics. 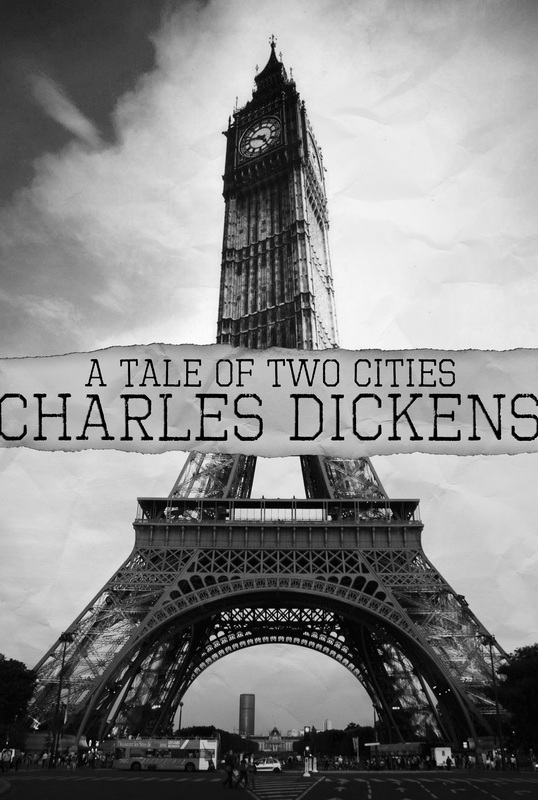 This book is set in both London and Paris during the French Revolution and shows how the escalation of violence affected both the innocent and the guilty. Themes addressed in the book include loyalty and self-sacrifice. Although it is an older book, Dickens approaches these topics in a way that still seems applicable to today. I enjoyed this novel because of the wide variety of characters. I felt like it provided insight to all types of people and relationships that everyone faces in their lives. Since the book is set over a period of a few years, the reader is able to watch the development of these characters and becomes attached to them. I would recommend this book to anyone who is interested in historical fiction or in unique, complex characters. It is also a good choice for anyone who wants to start reading some of Dickens' works. This fictional historical novel is based on five tapestries: Sight, Smell, Taste, Touch and Sound. The tapestries are designed in the novel by Nicholas Des Innocents. Nicholas is a self- centered artist who only cares about his artwork and women. Claude De Viste is a girl who has a desire for Nicholas but as a noble woman; she must be separated from him. This was a good a novel because Nicholas's view of women is an example of how women were seen during the 1400's in France. The novel also has different narrators and changes in the setting which keep it interesting. Not only does this novel focuses on paintings but also tapestries, which shows the function the painting has in weaving the tapestries. I would certainly recommend this book to anyone who loves art and the true strength of women. However, you don't need to love art to love this novel. The novel offers more than art history but also tells many romance stories which are perfectly intertwined with each other. The novel contains a lot of irony due to the many narrators. I strongly suggest this book to readers above the age of 14, because this novel does contain some intense scenes.